Grilled Meat by The CHUB's Grill, Karamunsing Capital, KK! 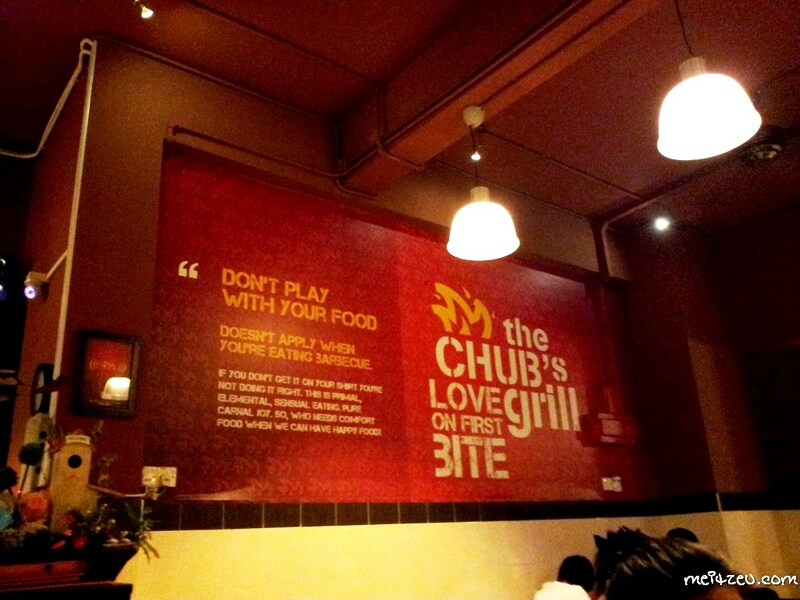 I heard about The Chub's Grill before, and by words of mouth, I also heard there's mix comments about the restaurant. Furthermore, I knew that the restaurant won a few title during the past KK Food Festival. Well done to the restaurant team. In fact, it was my first time there during my eldest sister birthday two weeks ago. :) And yes. 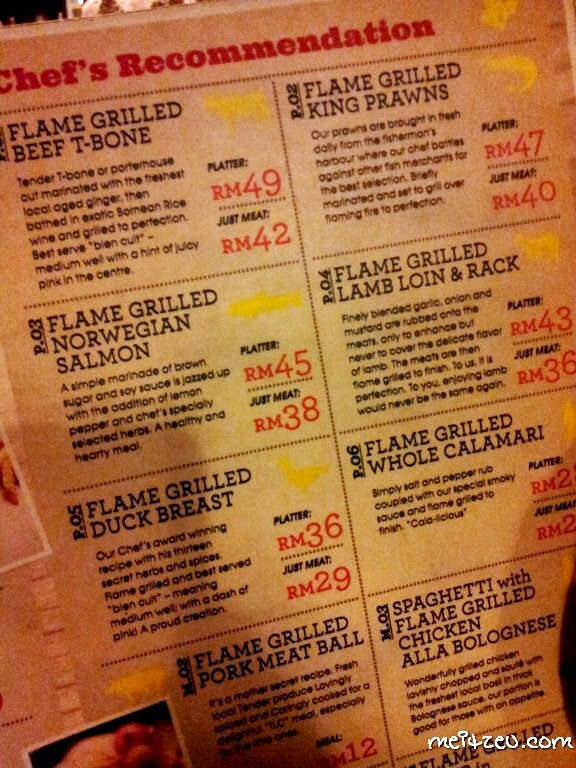 I love the grilled meat they serve there. I do love barbeque and I miss barbeque with my friends! Located at Karamunsing Capital and their operation time is from 11.30 a.m. till 10.30pm EVERYDAY and slightly later during weekends, some beer to cheers during weekend perhaps! Reasonable price and reasonable portion served to the guests. Mom and eldest sister had this, mom appraised it and loving the meal. I ordered lamb shoulder meat only for my meal that night, I'm afraid that I couldn't finish the platter portion. And beside the grilled lamb shoulder, I topped up with a bowl of mushroom soup. 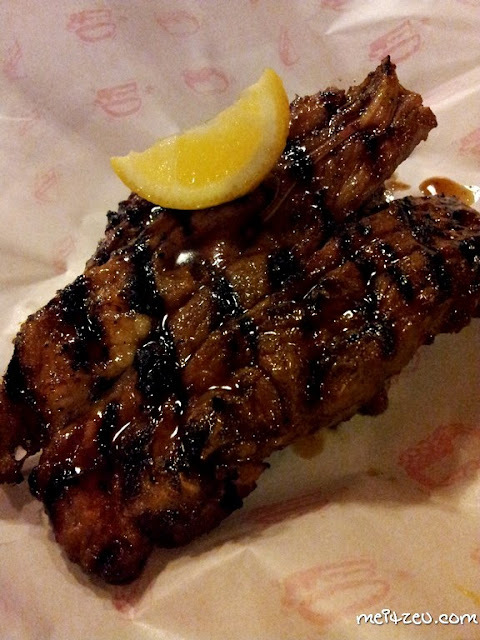 The grilled lamb shoulder served was good with the tender meat well grilled. It wasn't hard to cut even. Impressive. Both were ordered separately. 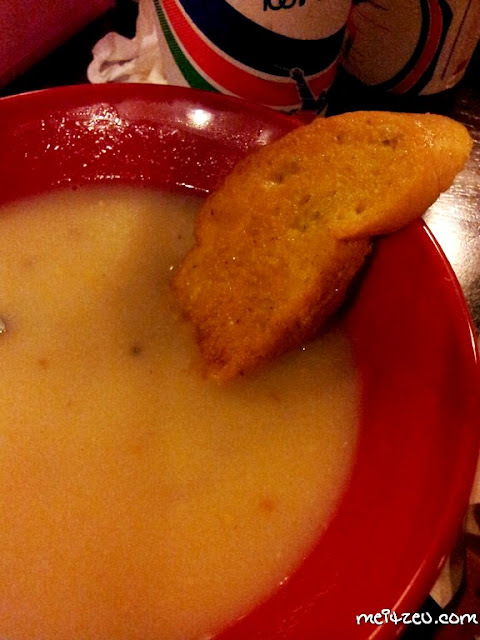 :) The soup taste ordinary while the garlic bread tasted well with garlic and butter and the bread was crunchy with every bite. My dad had Lamb Shoulder platter for the night. He waited quite a while for his meal, and while he was looking at us having our meal served earlier, the nice staff of The Chub's Grill served a bowl of mushroom soup (for FREE) for my dad, so that he won't felt being left out. Overall, the service and meal was satisfying. 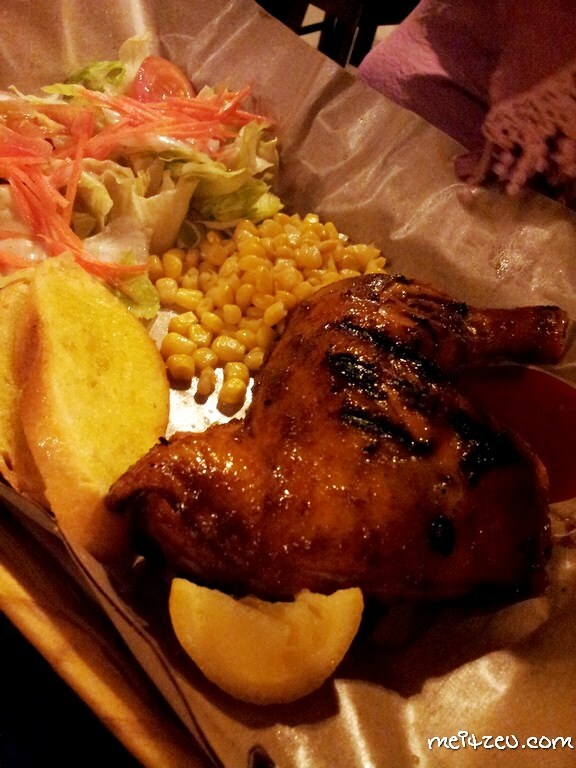 I will definitely recommend to my friends if they would like to eat western cuisine. However, the loud music played by the restaurant that night was a bit annoying and making us eating uncomfortably, maybe turning those songs into softer music or play the music with lighter volume would be much better. The first shop with red colour concept. My dad went everyweek until he got a pair of couple mug. I tagged along my friend from USA last week and he said taste damn delicious. The price is not expensive.. It looks very good. 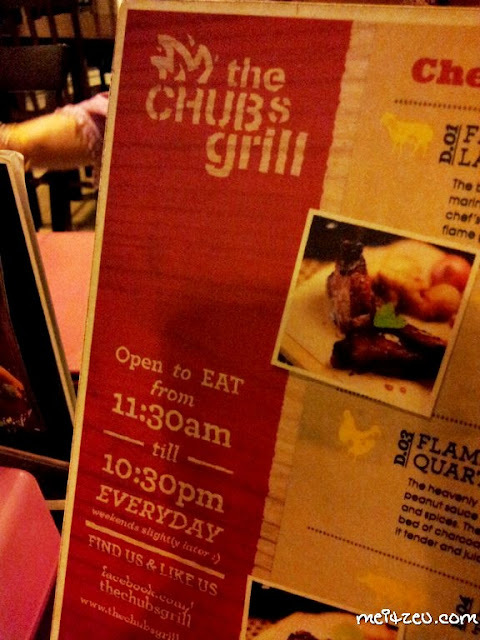 If you are in the USA, you need to try theOutback chain once. 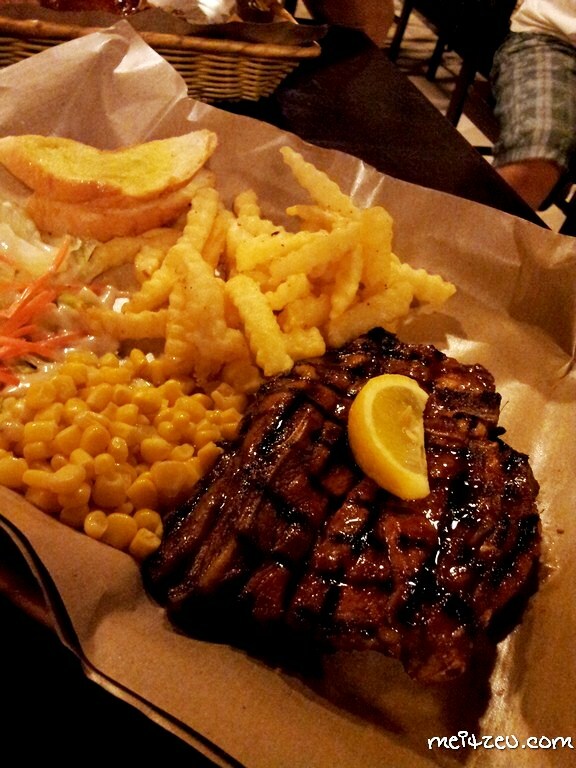 hey, the food actually look good to me.. and I love BBQ.. So bila ko mo blanja sa di sana ni?? Ha ha ha..
Cant believe the price is so cheap! The grilled lamb looks tempting. I'm a steak fan but anything grilled is good to go. The Mushroom Soup and Garlic Bread appearance tempting. i am a cut fan however something soup is sweet to travel. 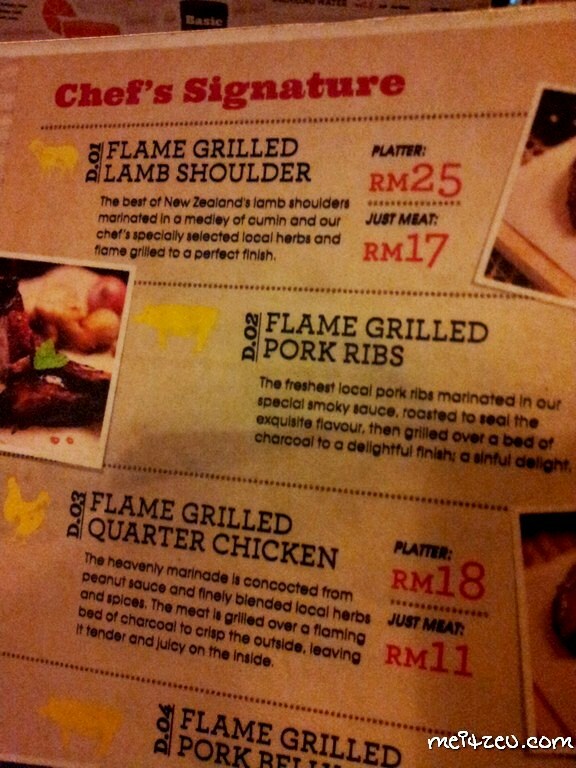 wow lamb at RM25? that's a really good bargain!